Words and Music: Permitted with a license from OneLicense.net. If you do not own this license, please contact the copyright holder for permission. Like 431 and 435, "Earth and All Stars" is a catalog text, inviting us to join with a whole host of natural and cultural phenomena to "sing to the Lord a new song!" The text alludes to Psalm 96:1 in each stanza and to Psalm 98:1 in the refrain. But Brokering presents a modern list of natural, manufactured, and inanimate things that join in praising the Lord: planets in cosmic order (st. 1); weather and vegetation (st. 2); musical instruments (st. 3); technology and building (st. 4); learning and athletics (st. 5); wisdom, and all of God's people (st. 6). fostering care for creation and respect for the gift of life. and that help support healthy lives. for our world belongs to God. God gave us a world. with granite, with gravity, with grapes. with marble, with molds, with marigolds. the marigolds into tapestries of yellow and bronze. in order to delight in the world. to till it and to nurture it with curiosity and creativity. Let us give praise and thanksgiving to God, our Creator. before we saw it roll on your good earth. that would hold up bridges over land and sea. You heard the motor in your mind before we revved it up on our roads. for blasting mines or for performing delicate surgery. Now bless our hands as we manipulate the machines we have made. Teach us how to use them wisely so that we will not be used by them. Bless our grinding and polishing, our honing and hammering. so that we may rest as safely in our cars and planes as in your arms. master artist of sunset and rainbow. for your marvelous creation running through our veins. Hear our prayer for your Son’s sake. Amen. People of all ages enjoy singing this hymn. Even the youngest children can appreciate the vivid word-pictures in the text, and if they cannot read or remember entire stanzas, can still sing the repeated phrase "Sing to the Lord…" and the marvelous refrain. In fact, singing the piece responsively is a good way to introduce the hymn to any age group. A choir or soloist can sing the stanzas, with the congregation joining in on the repeated phrases. Be sure to call attention to the wonderful melisma (many notes to one syllable) on the word marvelous in the refrain. It is a stroke of hymn-writing genius and a joy to sing! Later in the month, when the congregation is more familiar with the hymn, why not have different groups lead different stanzas? For instance, try this: stanza 1, all sing; stanza 2, women; stanza 3, choir; stanza 4, men; stanza 5, children; stanza 6, all; refrains, everyone. Singing the hymn in this fashion will not only make the words come alive, but will also keep people on their toes! A hint: "Earth and All Stars" works best at a fairly brisk tempo, with a strong downbeat pulse, almost one-to-a-bar. Your final tempo will depend on many factors: the size and acoustical properties of your sanctuary, the size and age of your congregation, whether you use organ or piano, and so on. At United Reformed Church I play this hymn at a metronome marking of about ♩=138. This seems energetic enough to move the congregation quickly through the many stanzas, but still leaves everyone enough room to breathe and enough time to think. Organists who wish to play works based on "Earth and All Stars" are encouraged to look in book 3 of David Cherwien's fine Interpretations (published by AMSI). 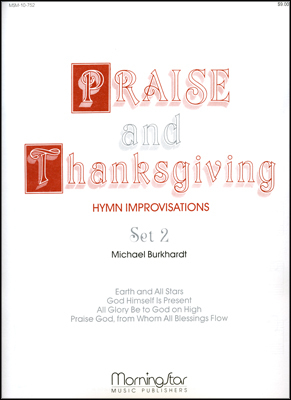 Sue Mitchell Wallace lists the hymn in her Hymn Prisms (Hope Publishing Co.), and Alec Wyton also has a setting, called “Variants on Earth and All Stars.” Probably most important, though, is Dr. Johnson's own setting of his tune, which, like the Wyton piece, is published by Augsburg. I tried to gather into a hymn of praise the many facets of life which emerge in the life of community. So there are the references to building, nature, learning, family, war, festivity. Seasons, emotions, death and resurrection, bread, wine, water, wind, sun, spirit. . . have made great impressions on my imagination. "Earth and All Stars" is a catalog text, inviting us to join with a whole host of natural and cultural phenomena to "sing to the Lord a new song!" The text alludes to Psalm 96:1 in each stanza and to Psalm 98:1 in the refrain. But Brokering presents a modern list of natural, manufactured, and inanimate things that join in praising the Lord: planets in cosmic order (st. 1); weather and vegetation (st. 2); musical instruments (st. 3); technology and building (st. 4); learning and athletics (st. 5); wisdom, and all of God's people (st. 6). David Johnson wrote the energetic tune for this text. This tune, EARTH AND ALL STARS, is distinguished by its use of melismas, intended for unison singing. Dale Grotenhuis prepared the harmonization in 1984. Try assigning various stanzas to different groups, but have the entire group sing the refrain. Each stanza should also be divided in half and assigned to smaller groups. Then each group would conclude with "Sing to the Lord a new song," but the entire congregation would still sing the refrain. Some may want to sing the refrain only after the final stanza. Use strong, briskly energetic accompaniment. Herbert Brokering (b. Beatrice, NE, 1926; d. Bloomington, MN, November 7, 2009) studied at Wartburg College, Waverly, Iowa; the Lutheran Theological Seminary, Columbus, Ohio; the University of Iowa; and the University of Erlangen, Germany. Brokering was a prominent figure in the Lutheran World Federation and the World Council of Churches and served as a parish pastor in several Lutheran congregations. His writings include Lard, Be with Me (1969), Lord, If (1977), and texts for hymns, anthems, cantatas, and musicals. David Johnson (b. San Antonio, TX, 1922; d. Phoenix, AZ, 1987), former music department chairman at St. Olaf College, composed EARTH AND ALL STARS and published it in his Twelve Folksongs and Spirituals (1968). Johnson studied at Trinity, University, San Antonio, Texas, and received his master's and doctoral degrees in music from Syracuse University, New York. In addition to St. Olaf, he taught at Syracuse University; Alfred University, Alfred, New York; and Arizona State University. Johnson was organist at Syracuse University and organist and choir director at Trinity Episcopal Cathedral in Phoenix. 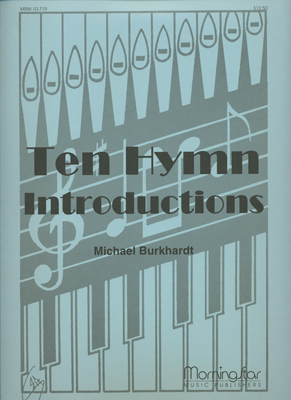 His publications include Instruction Book for Beginning Organists and Organ Teacher's Guide; his compositions number over three hundred and include hymn tunes, varied harmonizations, and hymn preludes. Dale Grotenhuis (b. Cedar Grove, WI, 1931; d. Jenison, MI, August 17, 2012), a member of the Psalter Hymnal 1987 Revision Committee, was professor of music and director of choral music at Dordt College, Sioux Center, Iowa, from 1960 until he retired in 1994 to concentrate on composition. Educated at Calvin College; Michigan State University, Lansing; and Ohio State University, Columbus; he combined teaching with composition throughout his career and is a widely published composer of choral music. He also directed the Dordt choir in a large number of recordings, including many psalm arrangements that are found in the 1959 edition of the Psalter Hymnal.